Keeping communication lines open is important for all businesses. But for small businesses, doing so through traditional phone lines is costly especially for long-distance calls. However, an affordable alternative is Voice over Internet Protocol (Voice over IP or VoIP), which simply refers to phone service delivered through the internet. Since you already have an existing internet connection, you just need a VoIP service provider with competitive rates to get started. It’s easy to install VoIP phones because they don’t need hardware to run them. Your VoIP service provider will give you access to a web portal on which you can manage the system’s configuration. VoIP can accommodate more users as your business expands — even in the face or rapid growth — without sacrificing quality. At the same time, it can also be scaled down if needed. Because VoIP is simple and scalable, it’s straightforward to manage and maintain it. There are no physical wires or cables for you to tinker with, not when everything can be changed through software. All incoming calls are routed into an active VoIP phone. As long as there’s internet connection, you can take calls anywhere, just like with cell phones connected to a phone network. When employees are more mobile, they become more productive. They don’t have to worry about missing important calls or wait in one place to talk to a client when their VoIP phones allow them to make and receive calls wherever. If you still haven’t switched to Voice over IP, then your business is missing out on all these benefits that your competitors may already be enjoying. Don’t be left behind. 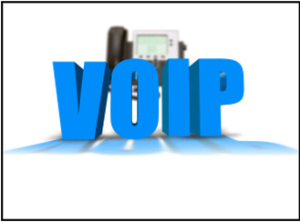 If you’re in California, contact us now at Affordable Telephone Systems to learn more about what VoIP can do for you.